Wednesday 3rd October – Australian Market Wrap | Beeks Downunder-Because not all financial news is boring! Resources firm as banks drift. Energy stocks back in focus. Golds shine on the lower dollar and higher bullion. Coking coal a star performer in Asia. Natural gas prices too. Aussie Gold positive at $1678. Asian markets weaker with Japan down 0.78% with China closed for the week. SBM +7.42% NST +4.43% gold stocks rally. OFX +8.00% firms on ACCC inquiry into forex charges. BAL -4.93 % sellers return. SDA -3.47% no support still. FMG -4.12% bucking the trend in resources. BGA -2.83% honey scandal hurts. CGC -2.49% blueberries back down again. SOL +3.09% shooting lights out. MYR +1.96% PMV asks for the register ahead of AGM. WES +0.98% Coles demerger detnails close to release. BHP +1.10% Vale and BHP have reached a deal with Brazilian authorities over Samarco compo. AMP +0.66% sees dead people and charges them. BOQ +0.09% results tomorrow. Small drop in earnings expected. Speculative stock of the day: Just for a change we are not highlighting BIT but ASN +31.58% following an announcement on the production of Lithium Hydroxide product from Cane Creek brine in Utah USA. BIT still up 25% though. SCA Property Group (SCP) – To acquire a portfolio of ten shopping centres across Australia for a total price of $575m. The acquisition to be funded by a fully underwritten $259m placement at 229c and a new debt facility. The purchase price reflects an initial yield of 7.47% on a fully let basis including the rental guarantee. FY19 distribution guidance lifted to 14.3c – 14.7c per share. SCP closed down 1.3% to 240c yesterday. Afterpay Touch Group (APT) +2.24% Tuesday after the close announced that it intends to sell its European e-Services business to Nelumbo for $7.5 million payable in two tranches, $4.0 million at completion and $3.5 million within six months of completion. Capricorn Metals (CMM) +2.78% Chairman Heath Hellewell to step down effective immediately, he will continue in his role of Managing Director. Debra Bakker to assume the position of Non-Executive Chairperson. Vicinity Centres (VCX) –0.38% To sell eleven centres for $631m to SCA property group and a private investor. The sale price represents a 5.1% discount to the combined 30 June book value of the assets. Mr Grant Kelley, Vicinity’s CEO and Managing Director, said: “These transactions are a significant achievement and advance our strategy to unlock major potential in the business.” VCX’s funds from operations (FFO) guidance remains unchanged at 18-18.2c per security for FY19. Perpetual (PPT) –0.55% Chris Green to succeed Gillian Larkins as Chief Financial Officer. Mr Green’s appointment will be effective on the 15th of October. ASX Limited (ASX) -0.79% Announced the appointment of Gillian Larkins as Chief Financial Officer. She will join ASX on the 29th of October 2018. Fletcher Building (FBU) –1.17% Confirms proposal to acquire Steel & Tube Holdings Ltd at a price of NZ$1.70 per share. The purchase price represents a 35% premium to the 5-day volume weighted average price of NZ$1.25 and values the company at NZ$282m. The AIG Services Index lifted to 52.5 in September from 52.2 in August. Marking the first improvement in 3 months. 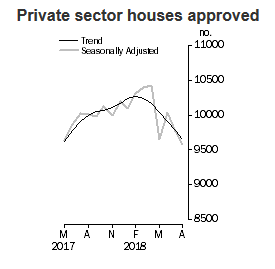 The reading pointed to the nineteenth straight month of expansion in the services sector. 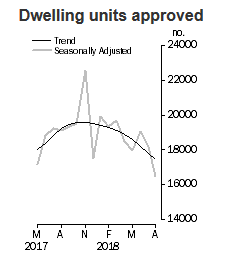 The number of home building permits dropped unexpectedly in August falling 9.4% on the back of weakness in apartment approvals which fell 17.2%. Market consensus was for a 1% lift. The Aussie dollar fell to 71.70 US cents on the release. Euro lifts half a US cent from its lows on the news the Italian government budget deficit will be smaller than previously expected at 2% of GDP, down from 2.4%. One of the most famous actresses in China, Fan Bingbing has been fined US$129m following an investigation into tax evasion for her associated companies. 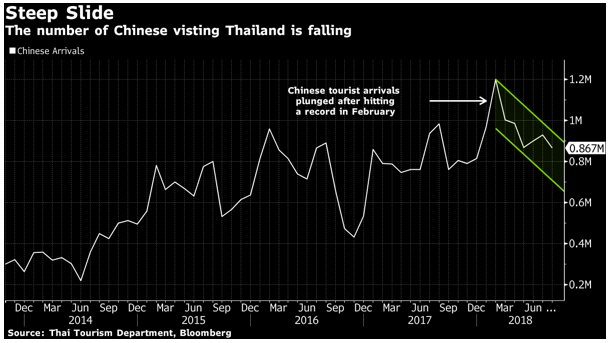 Chinese tourists are not guaranteed. A boat accident in July has seen visitor numbers drop 12% in August. FTSE expected up 6, CAC up 5 . Italy the focus. PMI day in Spain, France and Germany. Theresa May speaks tonight. Boris the warm up man and now the main act. Complete shambles. And Italy wants to go the same way. Really? Just like Al Capone, it wasn’t the gangster lifestyle that got him but tax evasion, as Trump under investigation for tax evasion on behalf of his mum and dad. 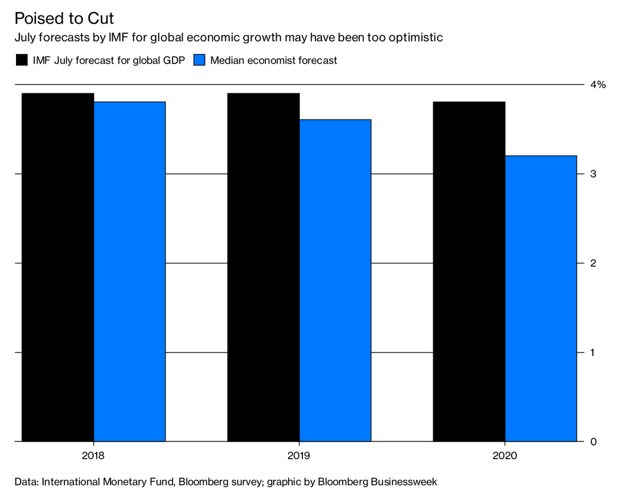 The International Monetary Fund may be about to cut its forecast for global growth as MD Lagarde warns trade wars and tighter credit are darkening the outlook. Three months since predicting the world economy would grow 3.9%this year and next, Lagarde signalled in Washington that she is no longer quite so optimistic. The fund will update its World Economic Outlook on Oct. 9 ahead of opening its annual meeting in Bali, Indonesia. Mueller. Mueller. Two US prosecutors working for Robert Mueller on the Russia investigation are leaving or have left the probe to return to their previous roles at the US Department of Justice. Tesla has met production forecasts but is now struggling to get the cars to its customers. In the UK, the Royal Mail shares have hit a record low on a shocking profit warning down from a target of GBP625m to between GBP500-550m. Who would have thought letters were a dying business. Cheque in the mail with more to come in November. Henry is on ABC Breakfast tomorrow around 8.15am. And finally….thanks to my buddy Stephen Holland for these dad jokes. Scott Morrison would be proud of these!!!! God help us. Sean Connery couldn’t believe what he had found in the back of his washing machine. Just read a survey on how people walk home from the pub.. The results are staggering. Went to the gym this morning and there was a clown there doing sit ups. It’s funny how things work out.